As the teams gear up for the opening day of the OFC U-16 Women’s Championship on Friday it is clear there is a drive to push women’s football in Oceania further. Last month’s OFC U-19 Women’s Championship showed that although the chase to catch New Zealand continues, there has been some great development among the other participating nations. 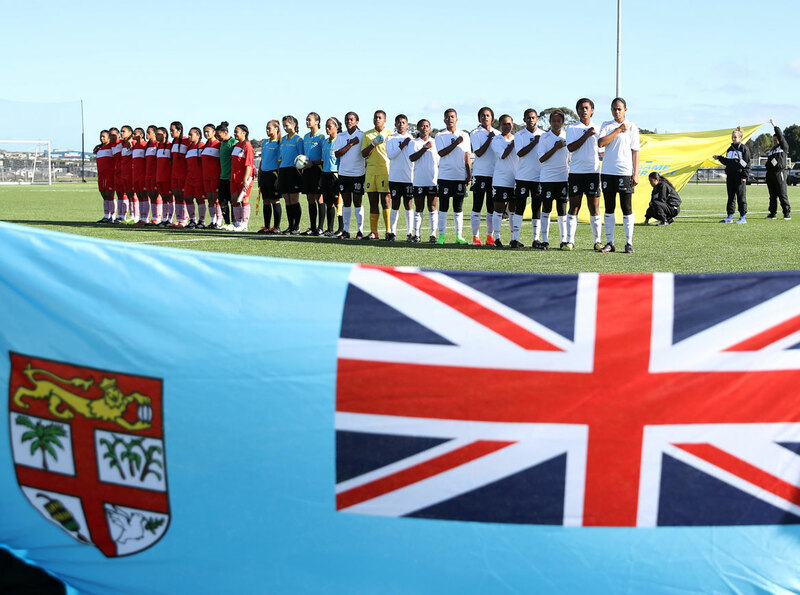 At U-16 level the expectation is similar especially after the showing at this level in 2016, when Fiji finished in the top three for the first time, while several other nations made their debuts. On Friday, American Samoa will turn out for the first time at this level of competition and their first test will be a tough one. Ruth Tuato’o will lead a fresh-faced group of young girls in Samoa and although it is the team’s international debut in this level of competition, the opportunities for women’s football on the American territory are growing. Toato’o said the team has come together well over the last few months and since coming together in Samoa ahead of the competition, the atmosphere has been great and they’re now just waiting to get underway. But their opponents Fiji are currently experiencing a period of success in the women’s game after finishing second for the first time at the OFC U-19 Women’s Championship in July and third in 2016 at the OFC U-17 Women’s Championship, the expectations are high. Led by Marika Rodu, who was also in charge of Fiji club-side Rewa when they made their OFC Champions League debut earlier this year, the team has been working hard in training and hope to follow the lead of their older peers by finishing on the podium. Rodu has spent four months in camp with his side and the difference between day one and now is immense. “The capability of my girls was a challenge for me initially,” the OFC A Licence candidate said. The second Group B match on Friday will see Cook Islands meet Tonga in what will be a challenge for both sides. A recent friendly against Tahiti during their build-up saw Cook Islands take a win and a loss away, and highlighted areas coach Theresa Tatuava can work on with her squad before the competition kicks-off. “We’re well prepared for the tournament, the girls are ready to get into it,” Tatuava said. Despite the challenge, Tatuava can still boast experience in her squad with six of the team having already appeared in the 2016 edition of this tournament, and she also knows that her players are dedicated. “They were 13-14 back then and have just turned 15 years old, so they’re among the group of girls who stand out in the team. “And because of the challenge with numbers, we have prepared the girls who were committed, passionate and wanting to advance their football skills,” she added. Tonga meanwhile has a strong squad which includes eight U-19 representatives including the always impressive Seini Lutu, striker Mele Kafa and New Zealand-based Carmel Uhila. This trio alone have at least two OFC women’s qualifying tournaments under their belts giving the side an edge over many of their opponents here in Samoa. Vital Statistics: American Samoa have never fielded a team in an OFC U-17 or U-16 tournament to date, making this their debut international match at this level. Vital Statistics: On their first appearance at the OFC U-17 Championship in 2016, Fiji finished third after an impressive series of matches. Vital Statistics: 2017 is Cook Islands third appearance in this competition with their best finish a third in 2012. Vital Statistics: Tonga are also making their third appearance in this competition. They just missed out on the semi-finals in 2016 after finishing third in their group behind New Zealand and New Caledonia.